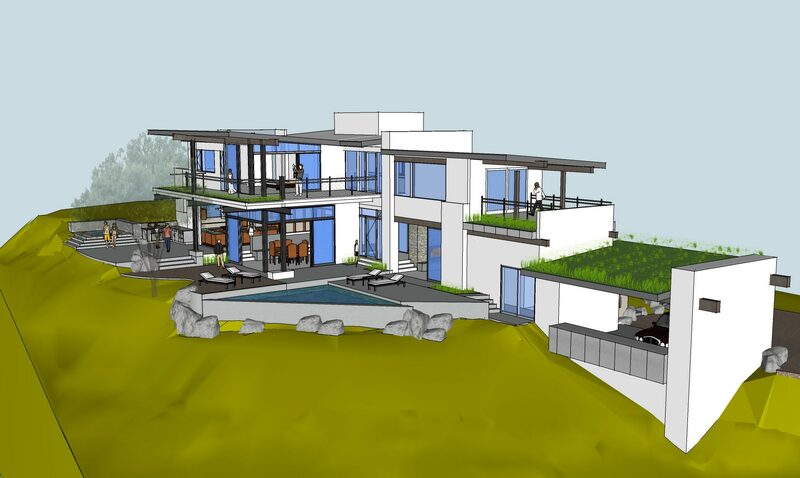 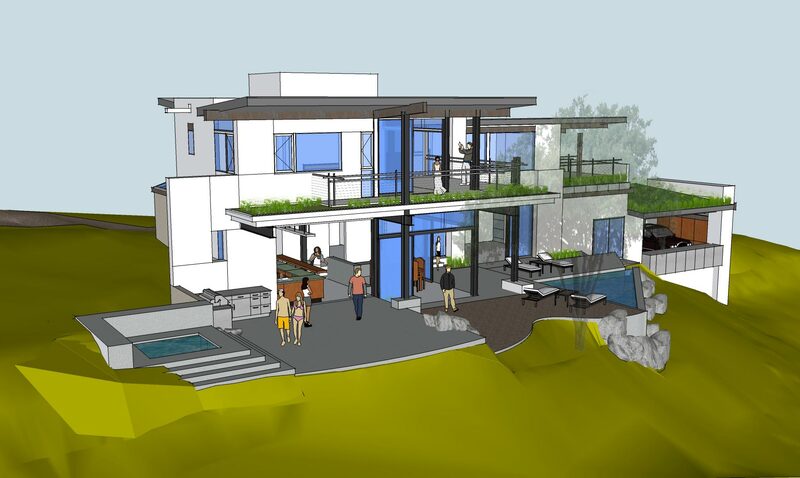 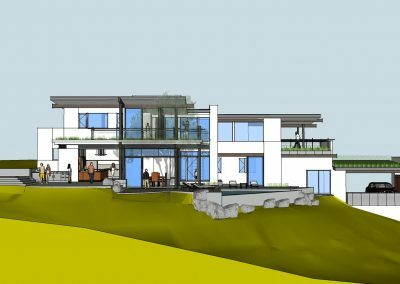 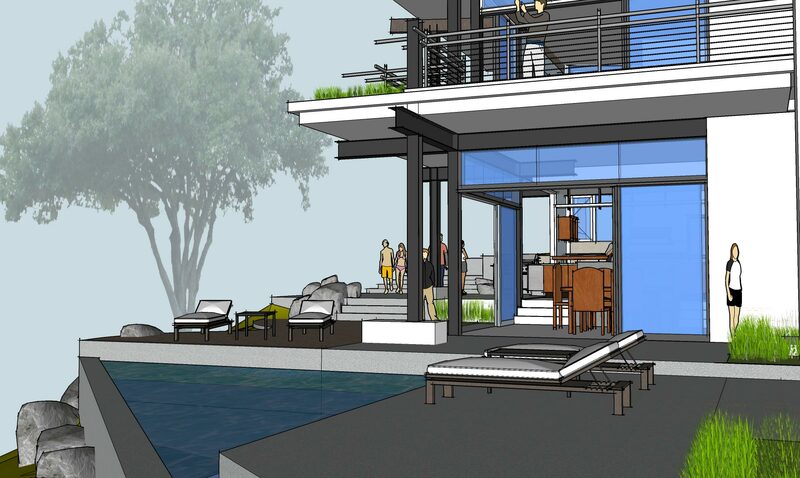 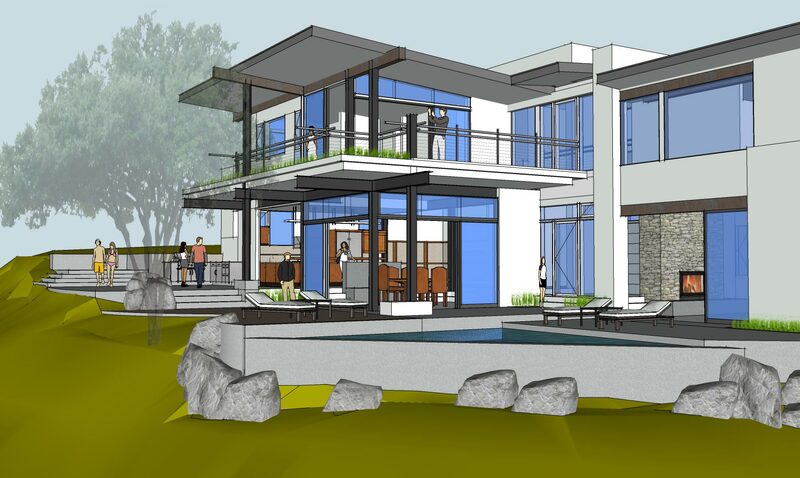 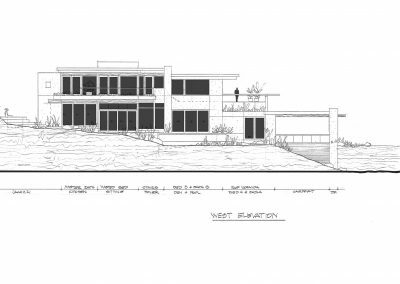 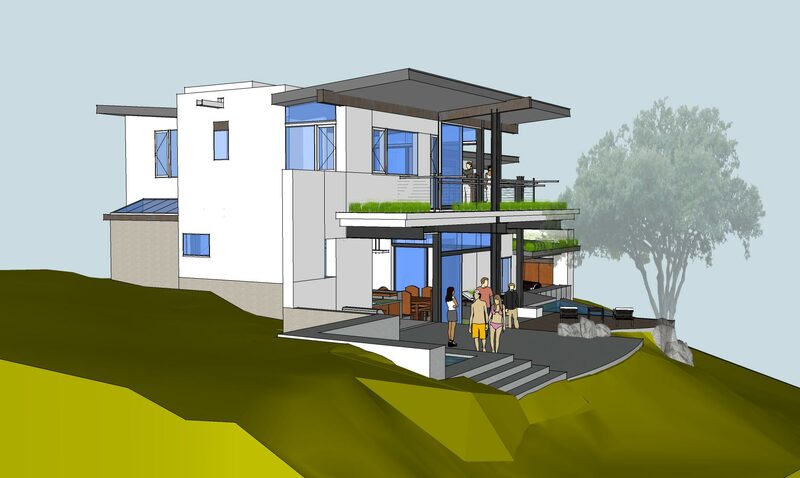 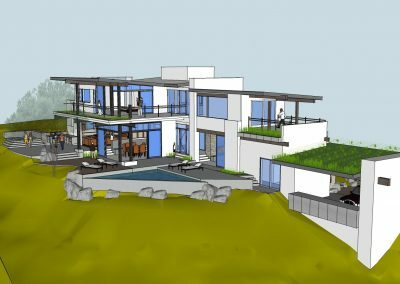 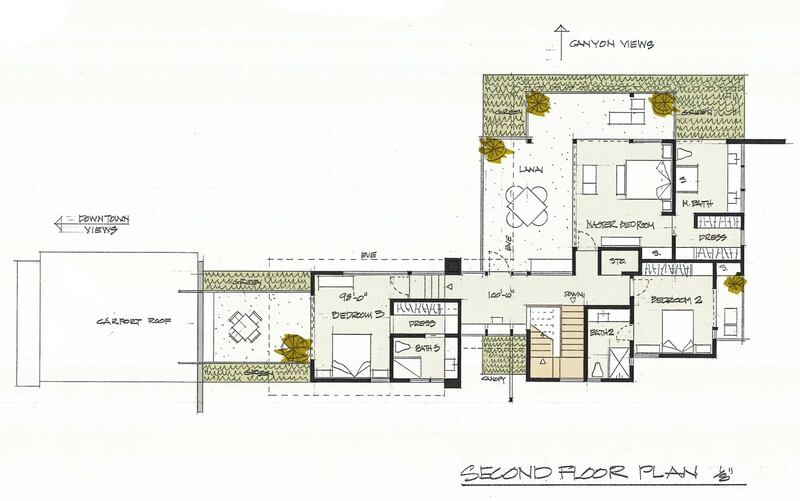 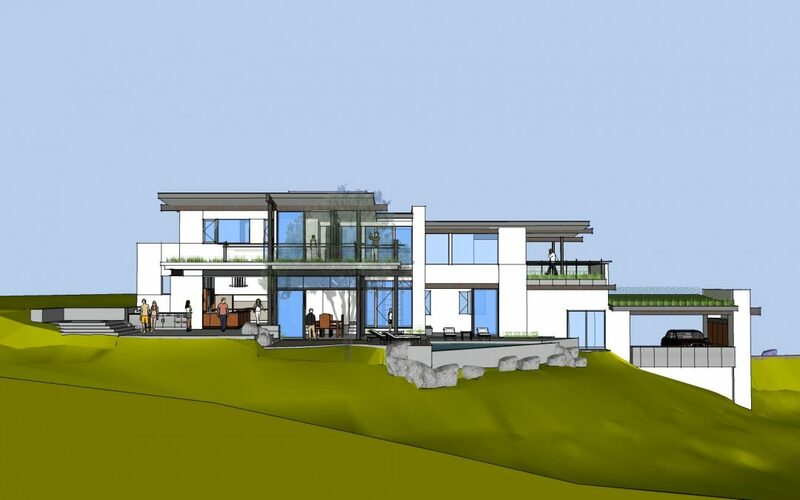 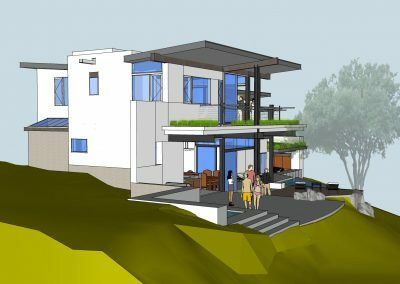 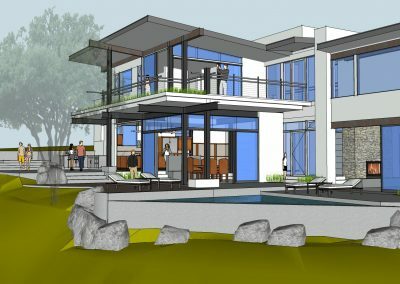 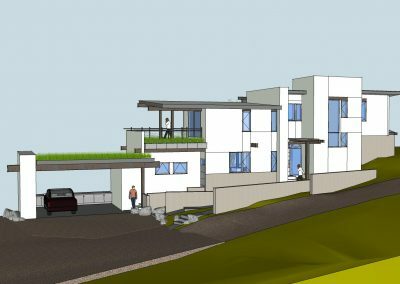 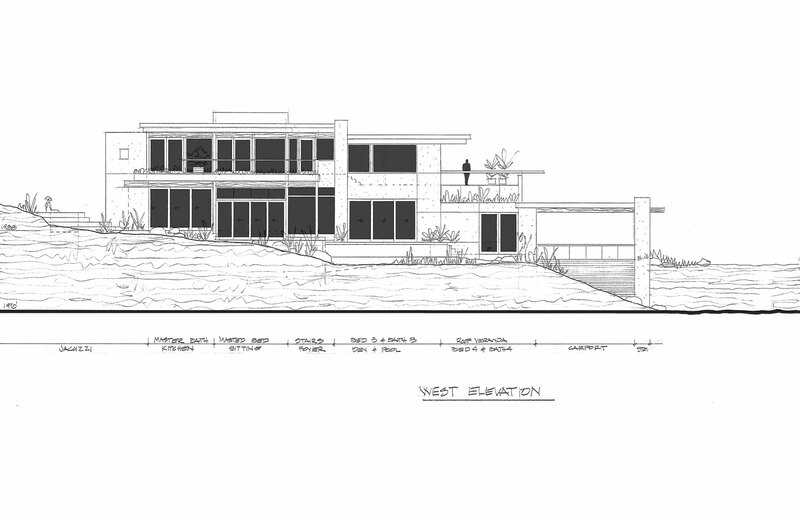 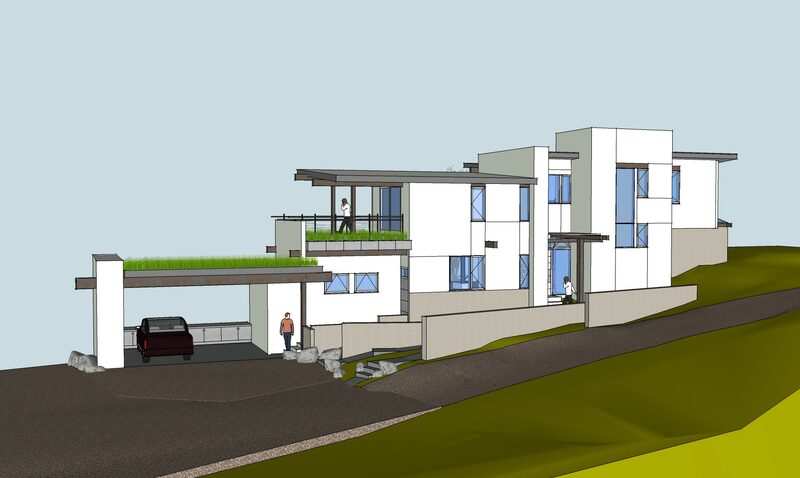 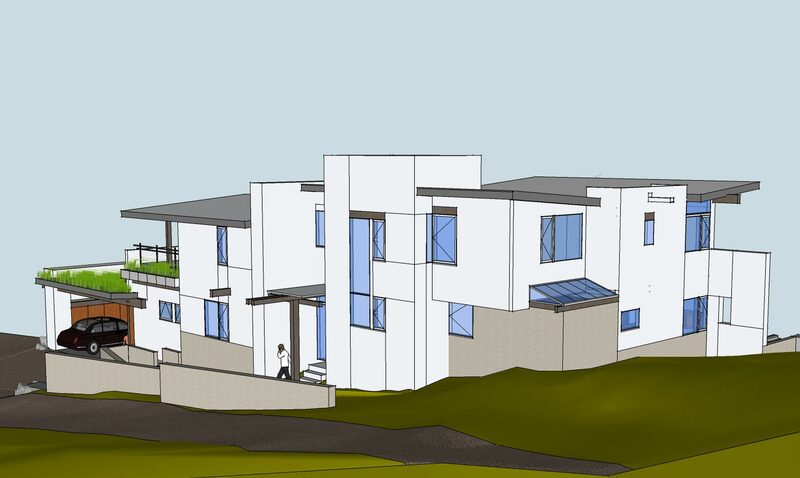 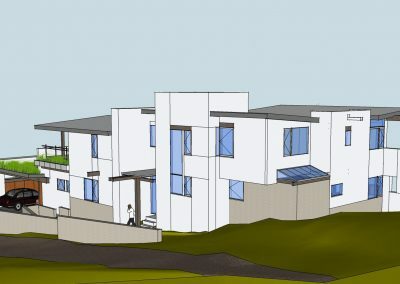 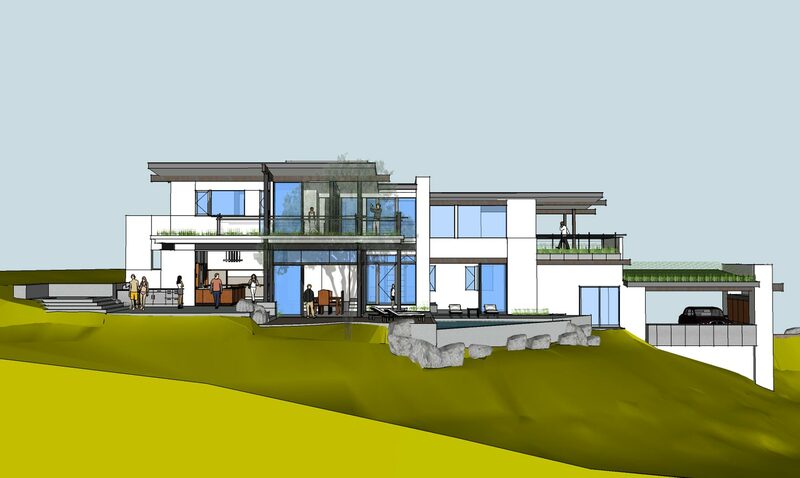 This new house design sits on a steep sloping site on a hillside in Claremont, Ca. 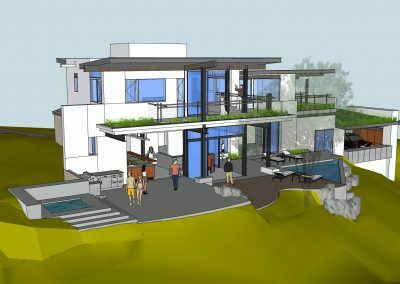 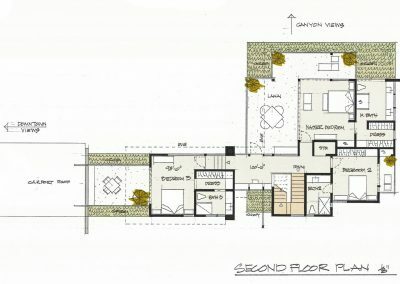 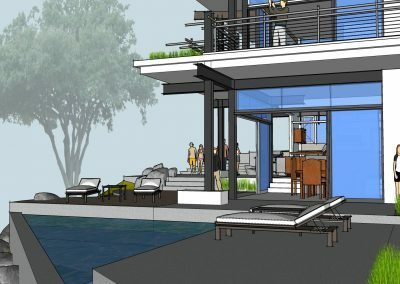 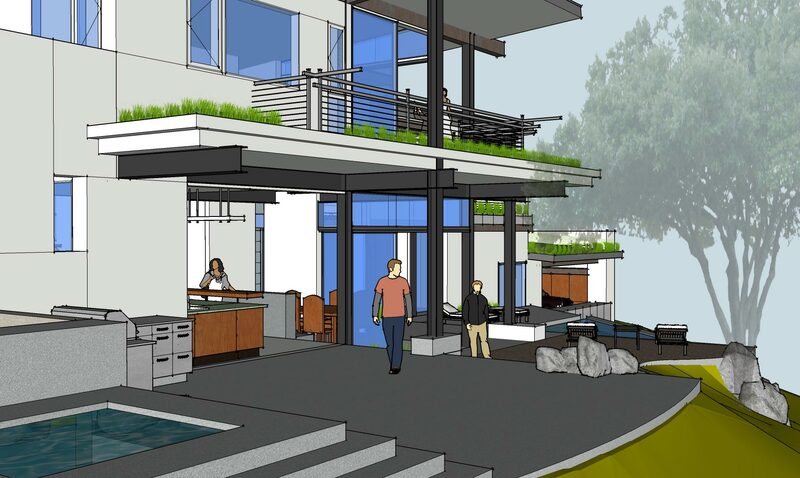 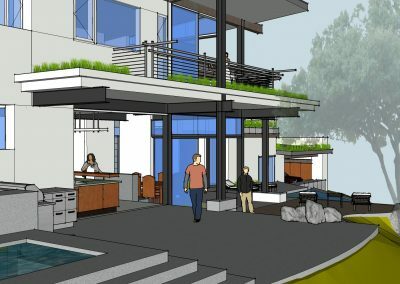 The design uses the natural slope of the existing site to make unique indoor-outdoor spaces. 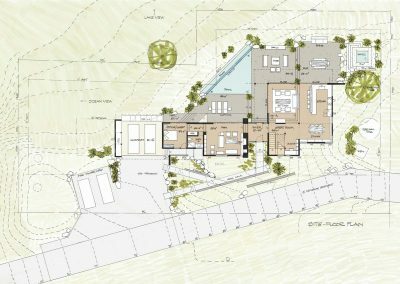 The road side of the house provides privacy which the hill side steps down and opens up around the pool creating a private oasis.